She looks so much better now — and LOVES to be cuddled. 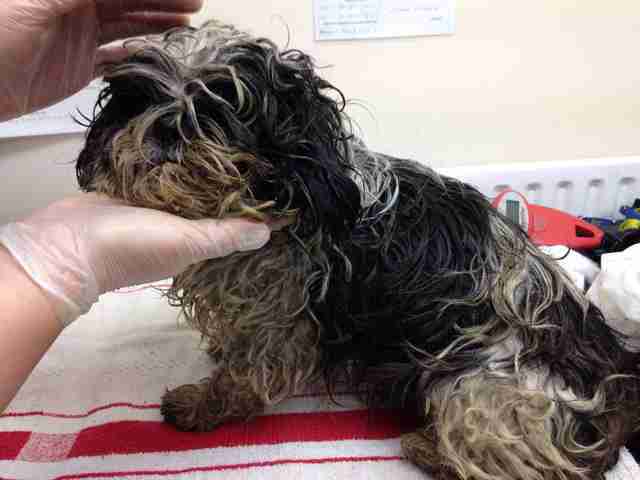 Olive was found hiding behind a building, absolutely terrified and barely able to move. 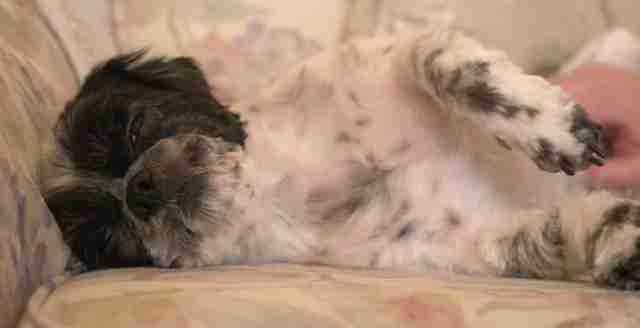 The little Shih Tzu was so matted that she cried out in pain every time she tried to move — or whenever someone touched her. 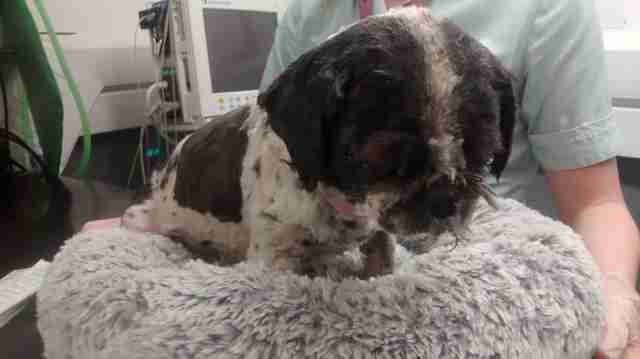 Olive was taken to the RSPCA, where staffers were shocked and angered by the condition she was in. They’d never seen anything like it before. Poor Olive was clearly experiencing a ton of discomfort and pain, and so the RSPCA rushed her to Wood Street Veterinary Hospital as quickly as possible. 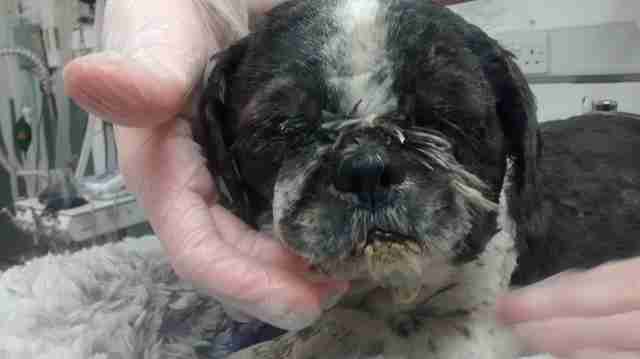 She was sedated so she could be examined without causing her any extra pain. After Olive’s insanely matted fur was clipped and shaved, the vet was finally able to see why Olive was so reluctant to be touched. 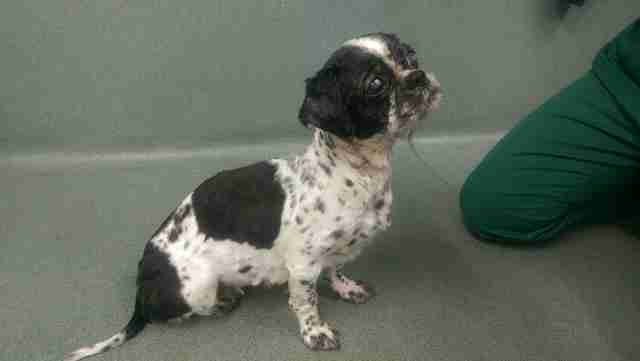 The little dog had massive swelling around her neck and head, and her eyes were so swollen she could barely open them. She also had a very bad ear infection. 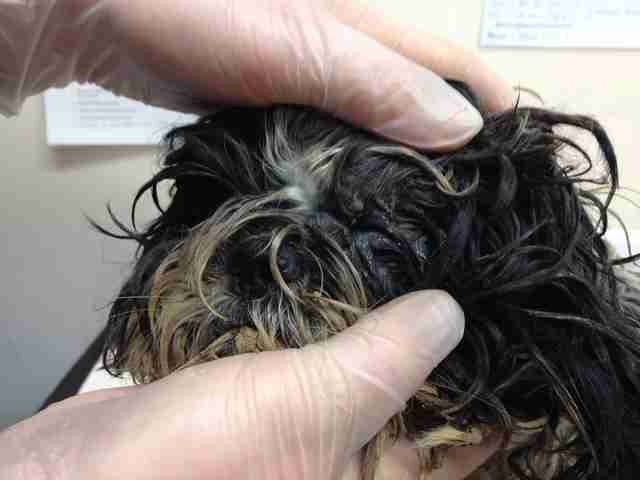 The vet immediately started Olive on antibiotics, eyedrops and medicated baths every two hours. Everyone knew that Olive was going to need a lot of time to recover from her ordeal, and so one of the vet nurses, Emily Brown, offered to take Olive home and foster her while she recovered. Brown already had a 15-year-old Shih Tzu mix named Benji, along with several other rescue pets, and she knew that Olive would fit right in with her little family. As Olive recovered and began to come out of her shell, she settled into life with Brown’s family quickly and happily. Before long, Brown realized there was no way she could part with Olive — and decided to adopt her. 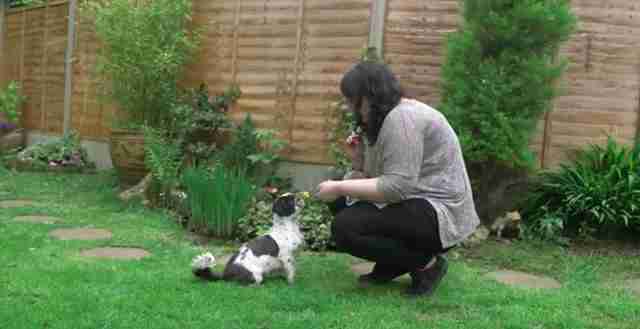 Olive, renamed Betty, is now doing fantastic in her new home, her days of pain and suffering completely behind her. She loves hanging out with her new best friend Benji, and has such a fun, spunky attitude now. Her sight is completely back to normal, and she loves being held and cuddled more than anything.